Andrea Palladio gave his name to an entire style of architecture, Palladianism, whose most obvious features – simple lines, satisfying symmetry and mathematical proportions – were derived from the architecture of antiquity and particularly that of Rome. Supported by the Embassy of Italy, the Italian Cultural Institute and Dublin City Council, and featuring arresting photographs of some of Palladio’s most significant buildings by the renowned Italian photographer Pino Guidolotti, the exhibition explores the origins of Palladianism in the Veneto. For five centuries the name of Palladio has been synonymous with architecture. Born in Padua on 30 November 1508, he designed villas and bridges in the Veneto countryside, town palaces and theatres in Vicenza, and churches and convents in Venice. After his death in 1580 his works and his famous treatise, Four Books of Architecture, strongly influenced the architecture of Northern Europe, from Great Britain to Russia, before crossing the ocean to become a model for public buildings and country residences from the Americas to Australia. Irish Palladianism has long been recognised as a distinctive version of the style. Fittingly, it was another Italian, Alessandro Galilei, who may be said to have introduced the style to Ireland at Castletown, Co Kildare, (under construction from 1722). Thus began a rich tradition of Palladianism in Irish country house architecture, with notable examples at Bellamont Forest, Co. Cavan (c.1730), Russborough, Co. Wicklow (1742), and Lucan House, Co. Dublin (1773), now the residence of the Ambassador of Italy. 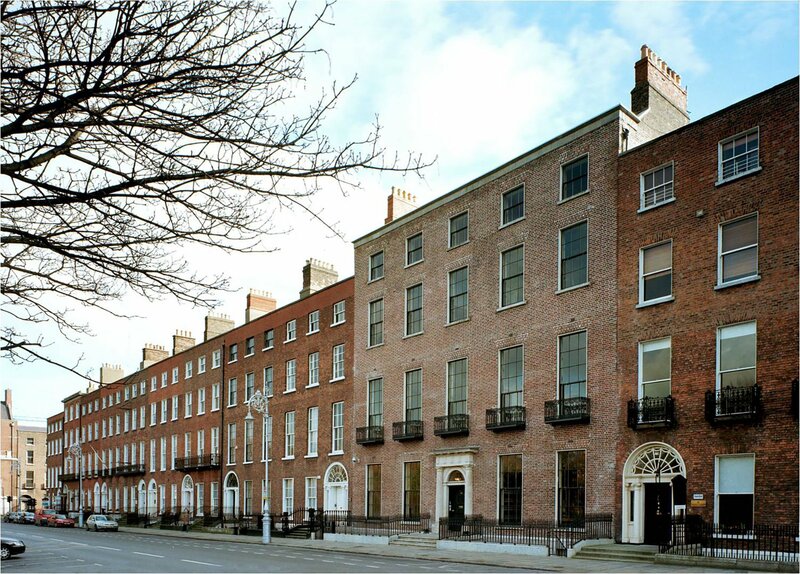 Ireland can also boast, in the facade of the Provost’s House, Trinity College Dublin, the only surviving example of a building erected to a design by Palladio outside his native Italy. However, it was through the native genius of Sir Edward Lovett Pearce that Palladianism received perhaps its most distinctive Irish manifestation. In the advanced European classicism of his Parliament House (now Bank of Ireland), College Green, Dublin (1729), Pearce created a distinctive and superb interpretation of the style. Pearce’s Parliament House was in turn admired and imitated through the years, with echoes and reflections of his Palladian inspired classicism to be found in a range of buildings from Thomas Cooley’s Royal Exchange (now City Hall), Dublin (1769), to James Gandon’s Four Courts (1785), and on to Sir Aston Webb’s florid Government Buildings, Upper Merrion Street, Dublin (1904). In 2008, the Comitato nazionale per le celebrazioni del V centenario della nascita di Andrea Palladio and the Comitato della Regione Veneto fostered projects and events which culminated in a comprehensive international exhibition, ‘Palladio 500 Years’, organised by the Centro Internazionale di Studi di Architettura Andrea Palladio, the Royal Academy of Arts of London and the Royal Institute of British Architects. Photographs from this exhibition feature in the Irish Architectural Archive show. Also featured are a rare original copy of Daniele Barabaro’s 1567 edition of Vitruvius’s De Architectura, illustrated by Palladio, a 1742 editionof Giacomo Leoni’s translation of Palladio’s Four Books of the Architecture once owned by the architect James Gandon, and a facsimile of the Four Books of the Architecture. The Archive gratefully acknowledges the assistance of Mark Leonard and Alistair Rowan in lending these books for the exhibition. 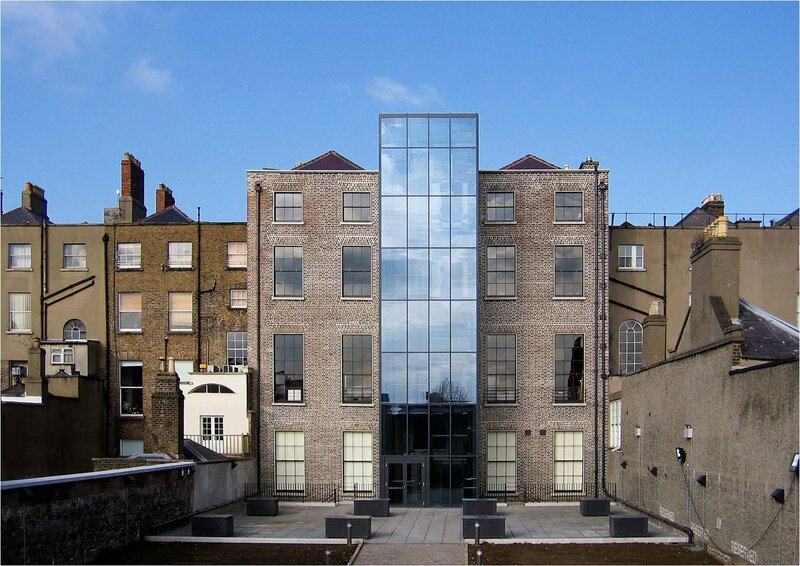 The exhibition runs from 16 April to 26 May 2010 in the Irish Architectural Archive Gallery, 45 Merrion Square, Dublin 2. 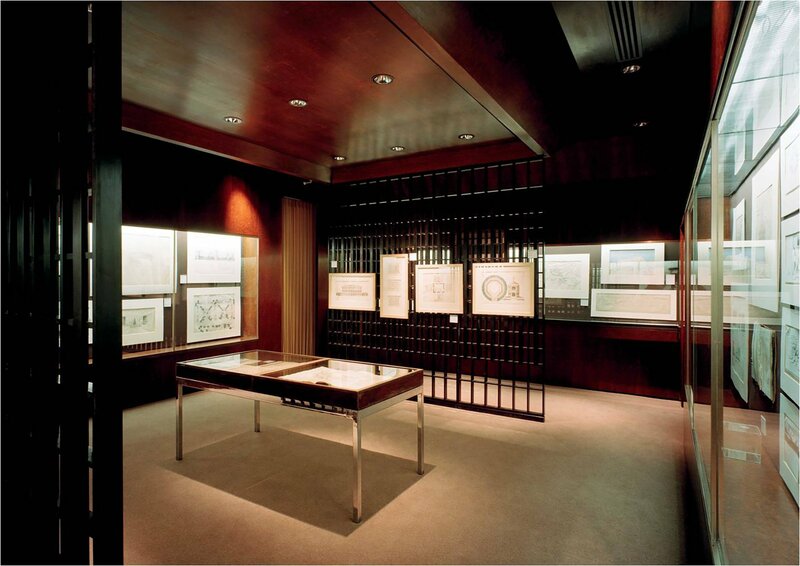 The Irish Architectural Archive Exhibition Gallery is open to the public from 10 am to 5 pm, Tuesdays to Fridays. Access is free.